The Stevyn Duffel Bag is perfectly sized for light travel or everyday use. With a large main compartment and a convenient separate bottom compartment, this duffel offers ample storage and packing options. 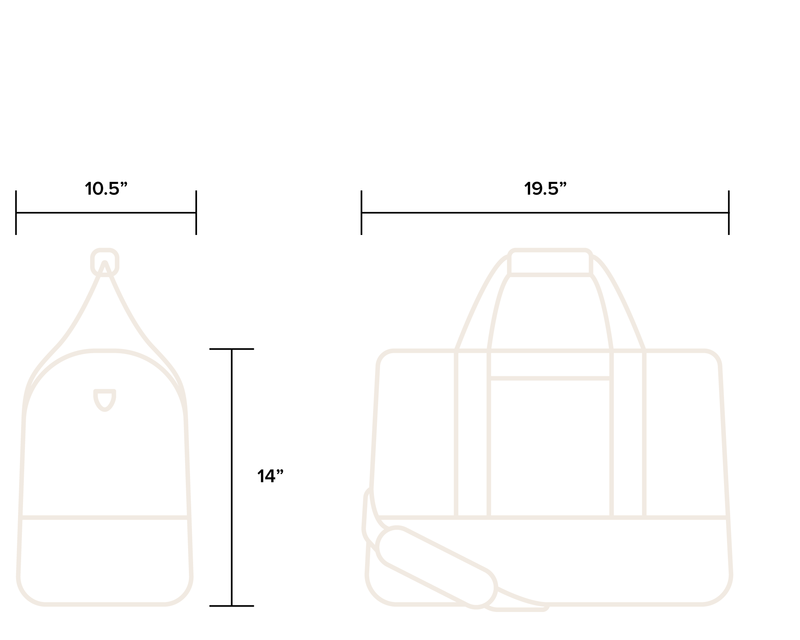 DIMENSIONS | Duffel: 19.5” x 14” x 10.5” / Main Compartment: 19.5” x 10.5” x 9” / Bottom Compartment: 19.5” x 10.5” x 5” / Strap: 31" - 50"
A convenient separate bottom compartment offers storage options for shoes, toiletries, or extra organization.